Unite has reached an agreement which bans workers from being employed via exploitative umbrella companies on a major highways contract in the North West of England. The agreement to ban umbrella companies is with Balfour Beatty which currently manages the Area 10 Highways Contract which covers motorways and major roads in Merseyside, Cheshire, Lancashire and Greater Manchester. As well as banning umbrella companies (which includes agency workers employed on the project), Balfour Beatty has also agreed that it will permanently employ any agency worker who has been on the project for at least three months. During the negotiations over the banning of umbrella company workers, Unite successfully cited Balfour’s own document: Guidance and requirements for suppliers titled ‘Modern Slavery and Labour Exploitation’ the document which is targeted at subcontractors and agencies makes it clear that Balfour Beatty will not allow its supply chain to charge direct or indirect fees for employment. Unite will also seek to ensure that the agreement on agency labour and umbrella companies is continued in future agreements, when the Area 10 contract is re-tendered next year. Balfour Beatty has already announced that it will not be bidding for the contract as it is exiting from this form of highways maintenance work. 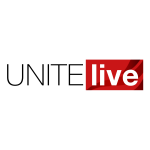 Earlier this week (August 6) Unite revealed that the government had effectively washed its hands of workers who are blighted by the misery of working via an umbrella company. It has not undertaken any work on how many workers are operating in this way for over three years and that the department for business, which should be leading on such matters, had never conducted such research. “This is a significant decision,” said Unite regional co-ordinating officer Andy Fisher. “Not only does it alleviate the misery of umbrella companies on this contract but it demonstrates that, through negotiation, Unite is able to stamp out the misery of umbrella company exploitation. “Unite will not only be ensuring that the agreements on umbrella companies and agency labour is extended to whoever inherits the Area 10 contract but extends these commitments to other similar contracts,” he added.